I was curious to know what colours were Traditional Colours of Japan. One of the site I came across showing 465 palettes of Japanese colour is this one. Japanese Site with 465 palettes of traditional colour. 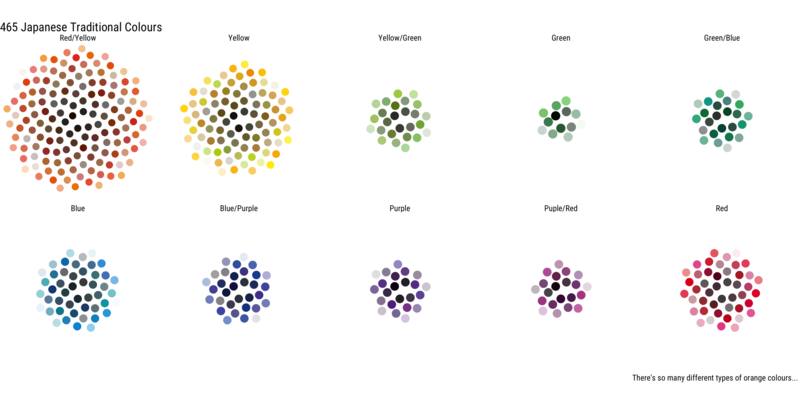 While site displays colour beautifully, to see every colour you need to scroll quite bit, so I wanted to plot them using ggplot2. First, I wanted to figure out if there’s way to plot many different colours at once, but in somewhat organized manner. 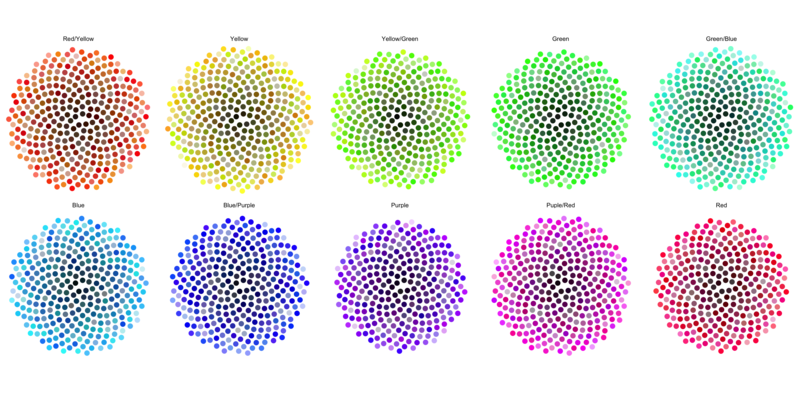 So to experiment, I’ve randomly generated 3000 colours and decided to plot them in different way. One way I’ve liked is to plot as below. I thought it looks pretty when colours with same hue are sort of clustered together! Below is to get colour values from website, and convert hex value to HSV, so that I can group colours by “hue” value. ## Group into Hue Groups - I chose 10 groups. Since each of colours had name, I also was curious if there are some characters that are used more often than other. Colour name was written in two ways in this website. One in Kanji and other in Hiragana. I love wordcloud2 to visualize the wordcloud, so I can see which characters appears more often the others. ## What characters are often used in colour names? mutate(n=sqrt(n)) %>%  ## if I don't transform then 色 just gets displayed too big, and I can't see other characters... So I've used the hack. color=sample(color_jpn_df$hex),  ## just use random colours out of japanese colour palette! It’s interesting that character “色” literally means “Colour” is used in the name! It appeared 206 times. The one I’m quite intrigued by is character “鼠” (rat or mouse). It appeared 34 times in following colour names.